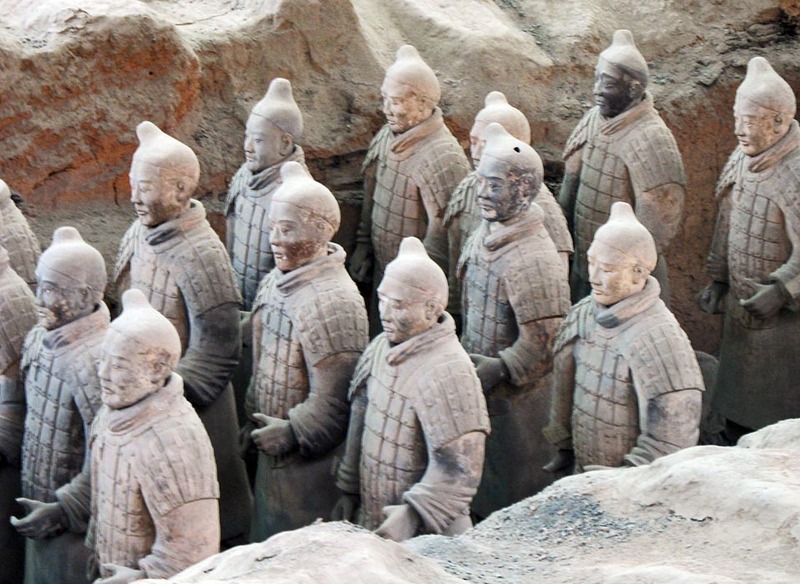 These Terracotta warriors are part of the Terracotta Army. 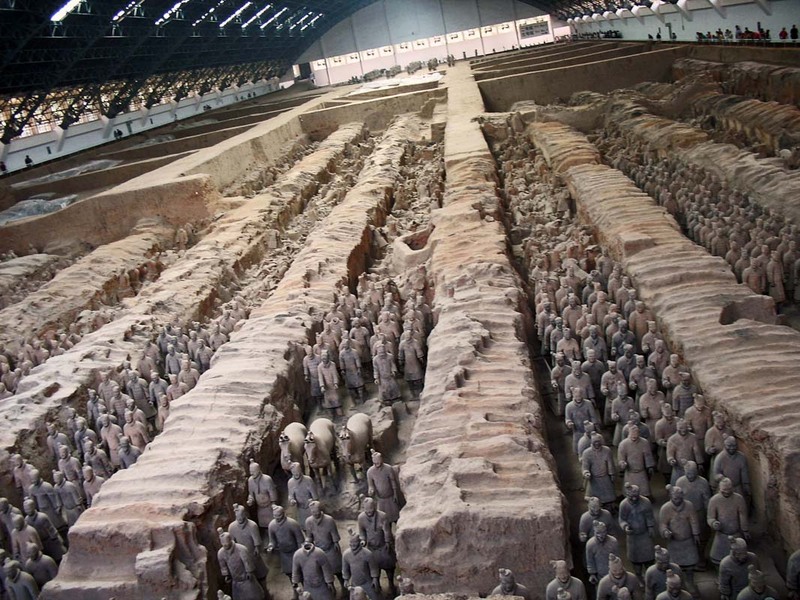 These are scores of terracotta sculptures which showcase the army of Qin Shi Huang, who was the first Emperor of China. These pieces of art were buried with the emperor. The idea was that they would be the protectors. They appear to have been carved out from real people as each figure has different facial features. This was quite a feat as it is estimated that there are over 8,000 soldiers, 130 chariots in all, and not all have been excavated. The work is still on. All these figures were found in pits near the Emperor's mauseleum and they contain not just soldiers but also other officials, and also musicians. 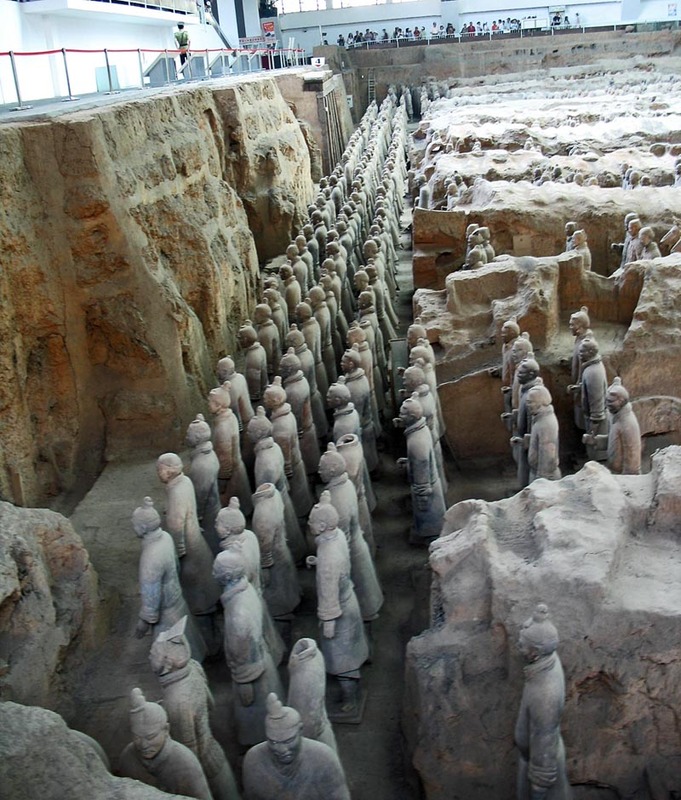 The pit out of which the terracota warriors were dug out from are huge and there are many of them. Here you can see how deep the terracotta warriors were buried. Tourists are watching from the gallery. You might also like Great Wall of China or Chinese Emperor's Crowns or the Reed Flute Cave at Guilin, China or more images from China of the Chinese people, and places.